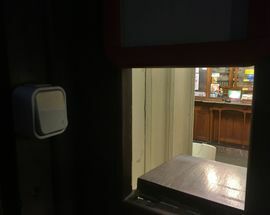 Ring the buzzer, place your order through the window and wait. 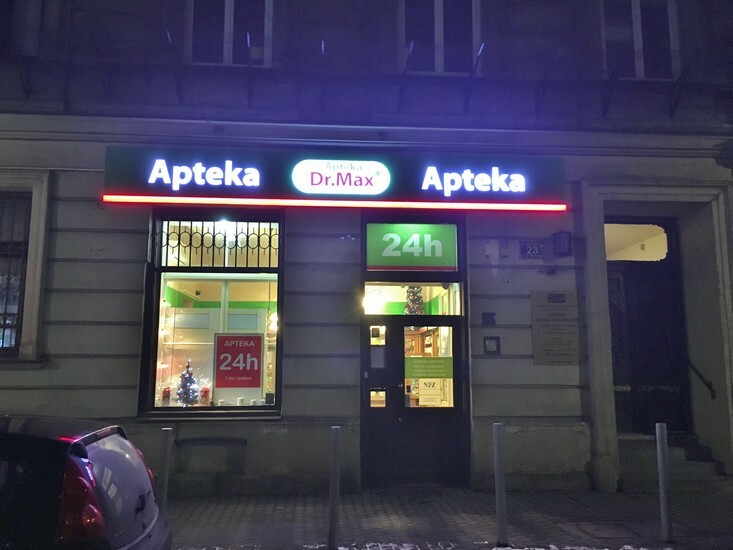 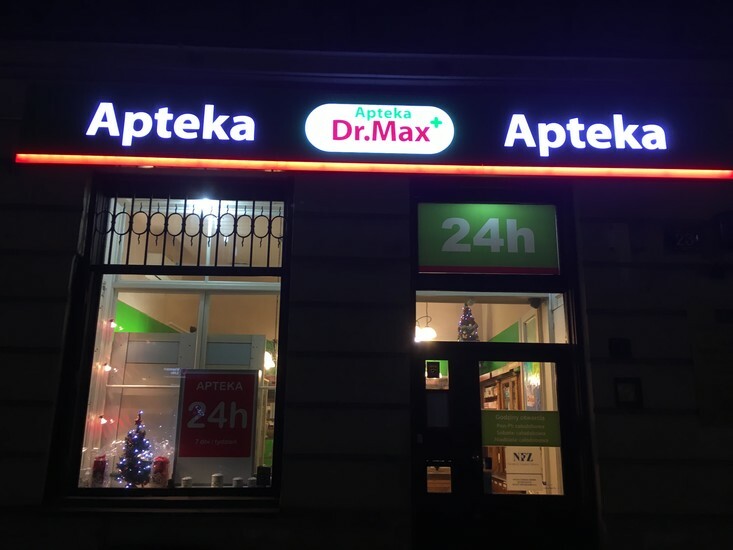 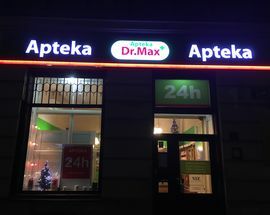 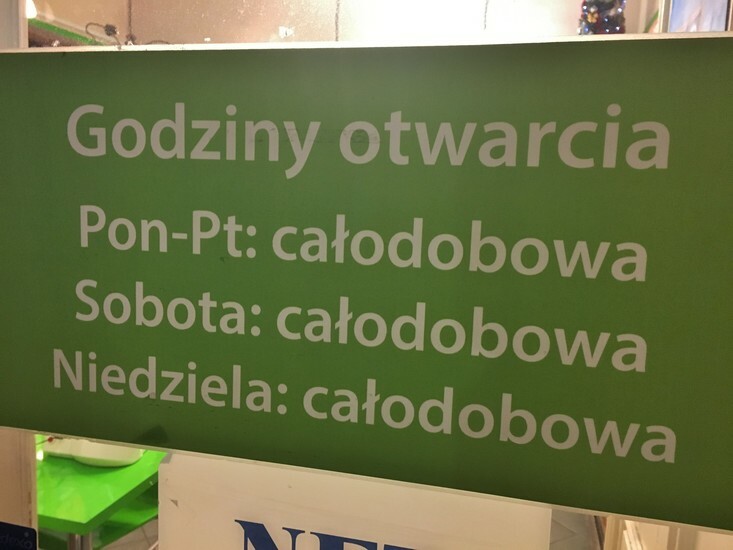 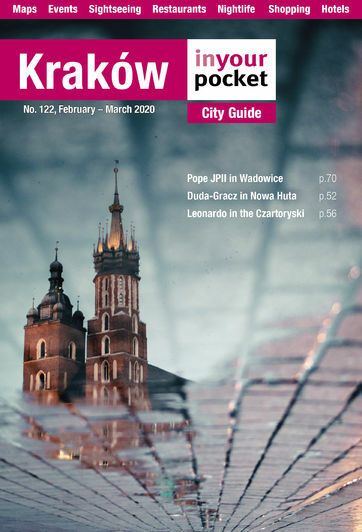 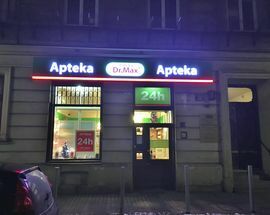 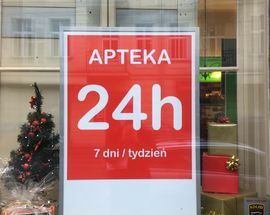 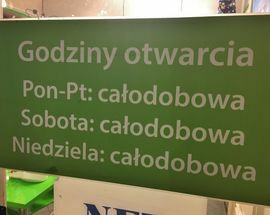 Basically the only 24-hour pharmacy in the vicinity of the Old Town. 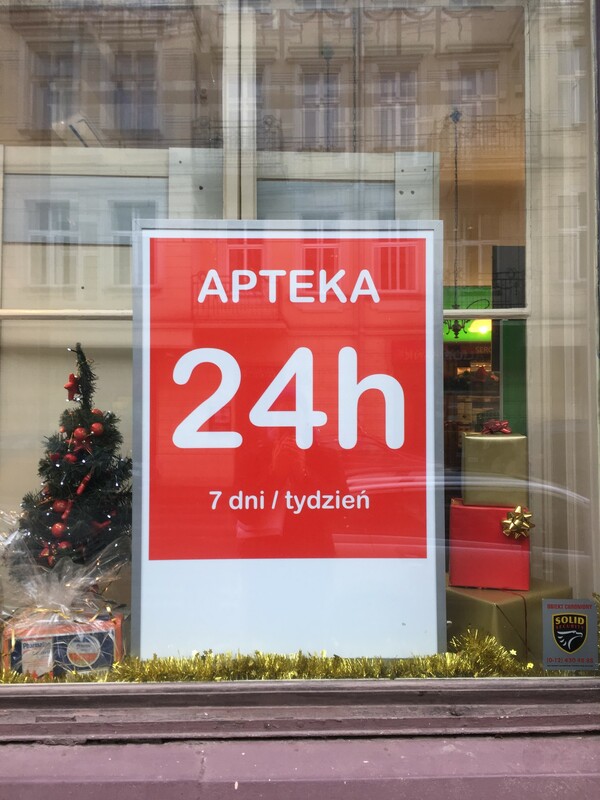 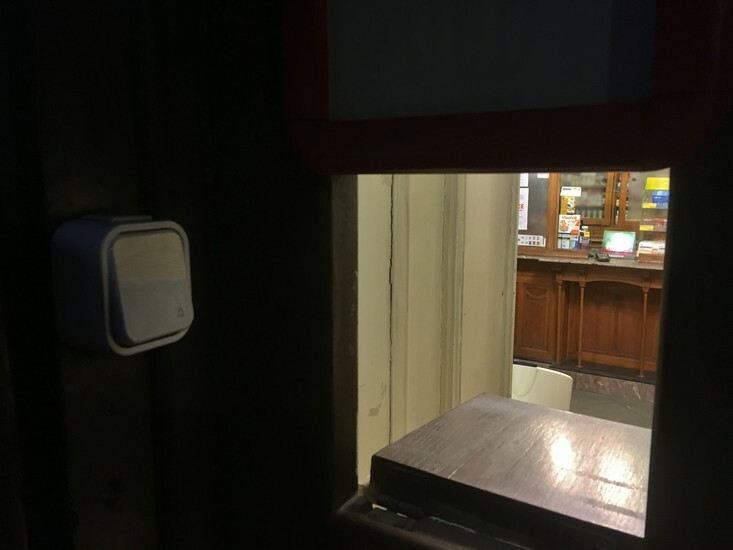 Working a bit like a 24-hour alcohol shop, after a certain hour you have to ring the buzzer, then place, pay and collect your order through a small window.